Jack El-Hai is the author of "The Lobotomist: A Maverick Medical Genius and his Tragic Quest to Rid the World of Mental Illness." It traces the life of Dr. Walter Freeman (pictured above), who popularized the lobotomy. The technique was innovative in its time, but Freeman continued performing it long after more effective pharmaceutical treatments were available. Nonetheless, Freeman was an innovator in treating the physical causes of mental illness. Podcast: Sarah Thyre, author of "Dark at the Roots"
Sarah Thyre is an actress and writer. 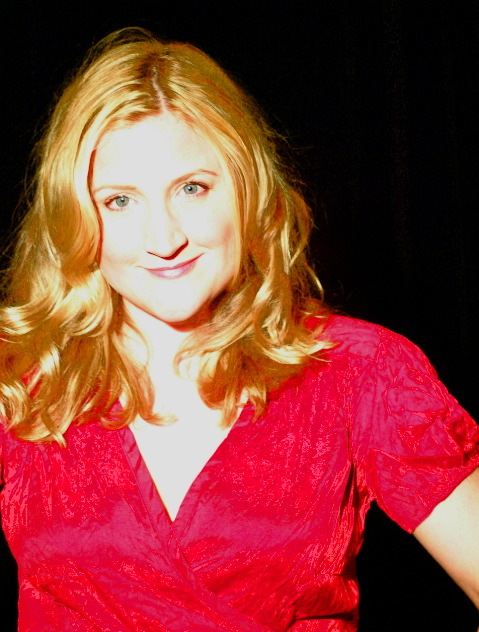 She's been seen as Coach Cherri Wolf on "Strangers with Candy," and on The Upright Citizens Brigade and Late Night with Conan O'Brien. Her memoir, "Dark at the Roots," describes her childhood in the deep south. Rebellious and irreverent, but also secretly deeply class and status conscious, she struggled through catholic school as an outsider. Our guests: We talk first with the founders of Lebowskifest, an annual celebration of all things Big Lebowski. Aherents call themselves "Achievers," and flock to the events, typically held in bowling alleys. We also talk with Seth Greenland. He's the author of the novel "The Bones," which satirizes Hollywood and the world of comedy. Our guests: Joe Garden is currently features editor of The Onion. He's been a writer there for many years, and is also a candidate to replace Conan O'Brien as the host of Late Night. Chris Jackson founded the entertainment advocacy and prank group H.O.P.E., or Horrified Observers of Pedantic Entertainment. Anne Beatts is a legendary pioneer in comedy writing. She was the first female editor on the National Lampoon, wrote for the National Lampoon Radio Hour, and was an original writer on Saturday Night Live. After leaving SNL, she created the critically-acclaimed sitcom Square Pegs, which featured a breakthrough performance from Sarah Jessica Parker. Today, Beatts is a screenwriting professor at the University of Southern California. She also teaches sketch comedy writing workshops privately. You can find out more about the courses on her MySpace page. You can see portions of our interview in video form here and here. Louis Theroux is an author and television host. His new book, "The Call of the Weird: Travels in American Subcultures." He's been reporting on fringe groups and subcultures since he started in television, on the Michael Moore series TV Nation. In the 1990s, he hosted the series "Weird Weekends," which ran in the United States on the Bravo network. More recently, he's hosted the UK-only series "When Louis Met...", a series of long-form documentaries which investigates some of the odder corners of celebrity culture. His work is often distinguished by a very strong sense of empathy towards his subjects, which has sometimes been interpreted as manipulation for the purpose of mockery, particularly given the generally light tone of his work. In his new book, Louis rekindles some of the relationships he'd formed in his first television series, and investigates how his subjects have changed and how the nation has changed around them. Louis himself is half American -- his father is the travel writer and novelist Paul Theroux. Out interview guest Dave Willis is the co-creator of the cult series Aqua Teen Hunger Force. 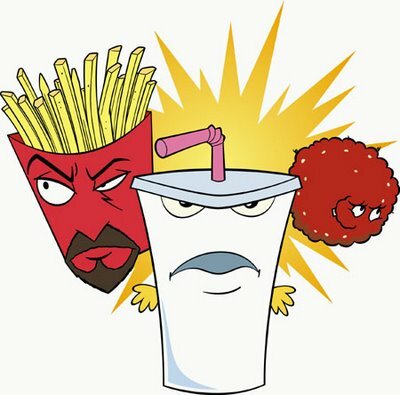 The television program has just become a film, called "Aqua Teen Hunger Force Colon Moviefilm for Theaters." The trailer for the film is below. Steven Wright is a standup comedy legend. He's also an Academy Award winner, and is well known for playing, well, Steven Wright-like guys in films like Reservoir Dogs, Half Baked and Babe: Pig in the City. His new comedy special "When the Leaves Blow Away " is about to be released on DVD -- it's his first special in 15 years. Ted Leo is the lead singer and songwriter of the band Ted Leo and the Pharmacists. His songs blend careful songcraft and indie aesthetics with politics and the drive of punk rock. His most recent record is "Living with the Living ." Ted Leo performs "Bleeding Powers"
Ted Leo performs "La Costa Brava"
Please share your thoughts on this show on our forum! Brian Stack is a long-time writer and performer on Late Night with Conan O'Brien. We talk about his early career as an improviser in Wisconsin -- at a theater which produced Chris Farley and Joan Cusack, among others, his masters degree (really!) and of course his time writing for Conan. His characters include the Ghost Crooner and Frankenstein (above).